we see that the term "DWB 111" is, if not incorrect, at least incomplete, since the propellor itself is actually two DWB objects (111 and 119), and the bright patch around it is a third (DWB 118). 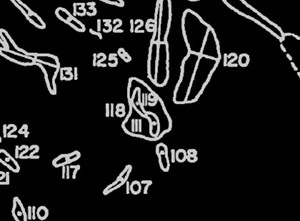 So a more correct way to identify this object would be as "DWB 111 and 119" or "DWB 111/9". 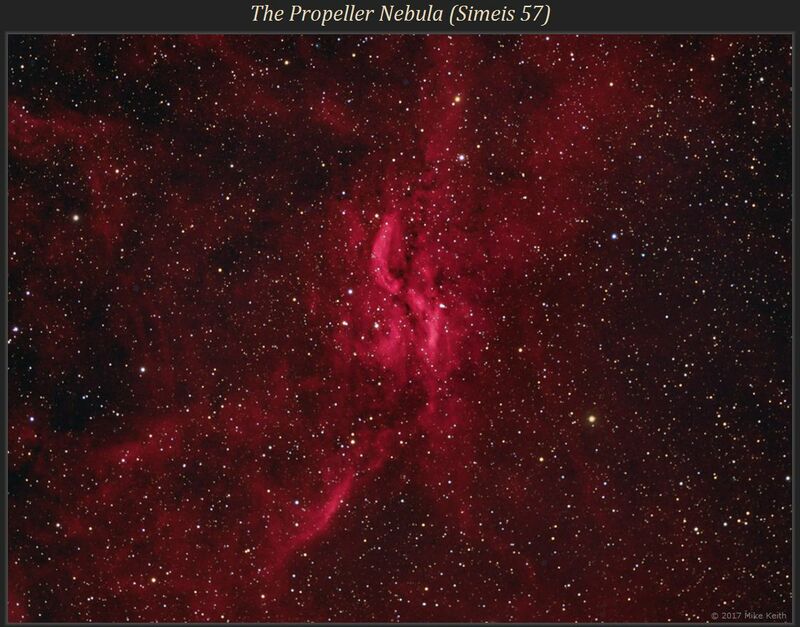 However, a paper by Gaze and Shajn in a Crimean journal in the 1950's presents an even more obscure catalog called "Simeis" in which the entire Propeller Nebula is item 57. Thus we arrive at what seems to be the simplest designation for this object: Simeis 57. (One last bit of catalogue trivia: the only other Simeis object besides this one that is commonly known by its Simeis number is the Spaghetti Nebula, Simeis 147 (= Sharpless 240).) It is surprising that the Propeller Nebula, which is relatively bright, is not in the Sharpless or LBN (Lynds Bright Nebulae) catalogues. 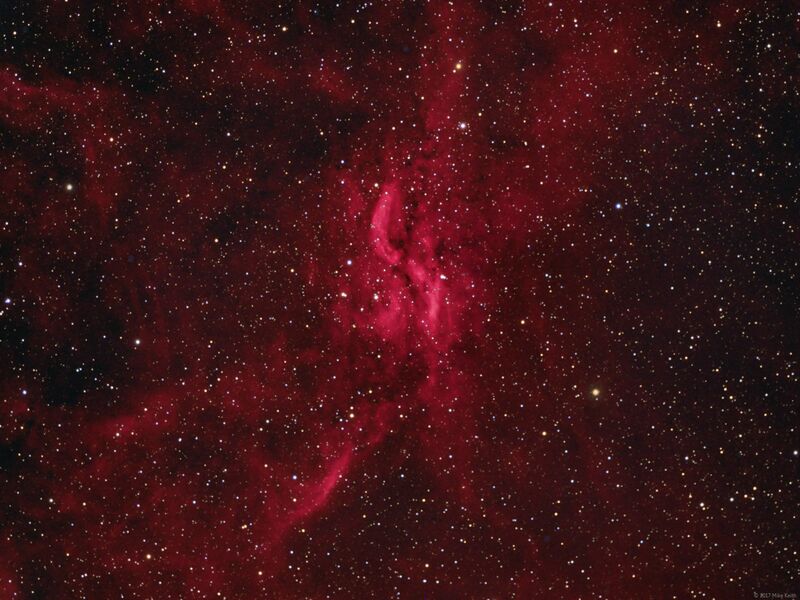 This image is a hybrid HaRGB capture with 2 hours of H-alpha and 1 hour of RGB exposure.